In recent months, Direct Line has offered Tesla owners five percent off their yearly premium when they enable autopilot. Within Tesla’s vehicles, the autopilot function is a semi-autonomous driver assist system. When Direct Line, an insurer in Britain, announced this deal, everyone who owns a Tesla came out in droves asking where their discount was, but it didn’t exist for American buyers. The larger problem, however, is that auto insurance in a driverless world will only increase, rather than decrease. The reason that Direct Line pioneered this campaign was so they could get a handle on the actual benefits of a self-driving car and how it would react in the real world, rather than test simulations. Their hope was that they’d get some numbers to base future data off of for the entire insurance industry so that they might understand how many mishaps and crashes are avoided with the self-drive tech we’re all so looking forward to. Although this test is exactly what insurance companies in the U.S. and Canada should be doing, it appears they have no intention to. And yet they wonder how rumors surrounding higher insurance rates circulate around race, gender, and even the color of a car. Either way, there is already evidence that claims driver-assist systems will totally save lives, especially Tesla’s Autopilot because it is so advanced. In fact, the National Highway Traffic Safety Administration actually published a study stating that 40 percent of crash rates dropped when Tesla’s Autopilot had its hand on the wheel. The insurance companies we’re all using are claiming that they can’t offer a statistic based discount because of the U.S. laws. However, the law states that the insurance companies must demonstrate that the premiums are not “inadequate, excessive, or unduly/unfairly discriminatory. And they must show it through experience.” In essence, they’re claiming that there’s not yet enough evidence to support a discount in rates for people who have a nearly infallible robot driving their vehicle. Somehow, this does not apply in Europe where drivers are almost laughably bad. 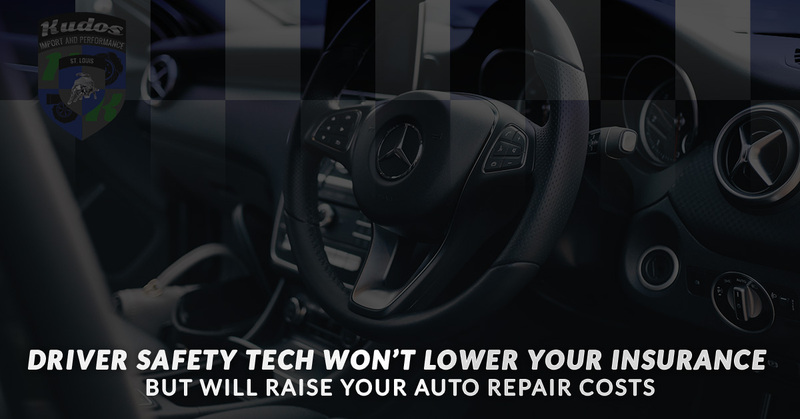 Their main claim is “the overall extent to which crashes, injuries, and fatalities might be reduced by driver-assists remains to be seen.” With this comes the repair costs. Since it’s auto manufacturers like Tesla that are truly pioneering these technologies, it’s going to be more expensive to fix if it does get into a crash. Since the insurance companies are thinking mainly of how much they’ll have to pay for foreign car repair, they don’t really seem to care about saving money for safer drivers with higher end tech. Import auto maintenance is already a worry driving up insurance premiums, which any owner of an import auto is already aware of. None of this means you shouldn’t reap the rewards of self-driving cars as they arrive on the market. If you’re going to buy one with a great system that you can trust, it’s probably going to be from a foreign auto manufacturer. So when your testament to the abilities of the human mind (your car) is in need of auto repair, think of your St. Charles Kudos Luxury Import Auto Repair.